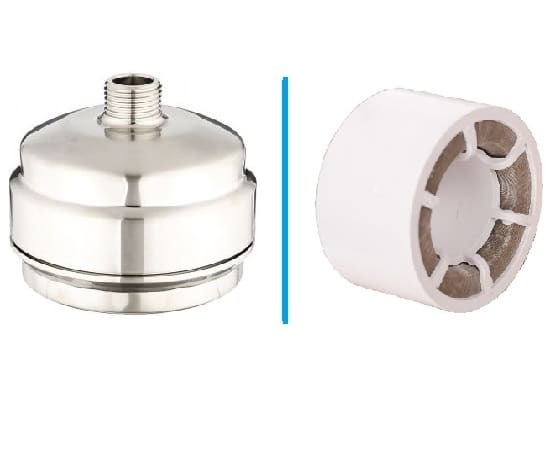 Slimline Shower Filter Cartridge, is of high – output shower filter where it removes all the harmful contaminants and chemicals in water, this filtering cartridge is an intelligence / slimline design. The material of the filter is chrome and cartridge is of plastic and last up to 12 months. This filter cartridge is the replacement filter for the Sprite HO High-Output shower filter. This shower filter is patented technology from a leading brand. Guarantee removal of chlorine, heavy metals and odor from you shower or bath water. For more replaceable filter cartridge products and best and limited offers like free installation, ring us immediately.